Quick and easy way to show emission with cloud chambers. Needle sources are used to generate a point source of radiation inside cloud chambers for demonstrating alpha and beta radiation tracks. Three different types of isotopes are offered, a pure alpha emitter, a pure beta emitter and a combined alpha/beta emitter. 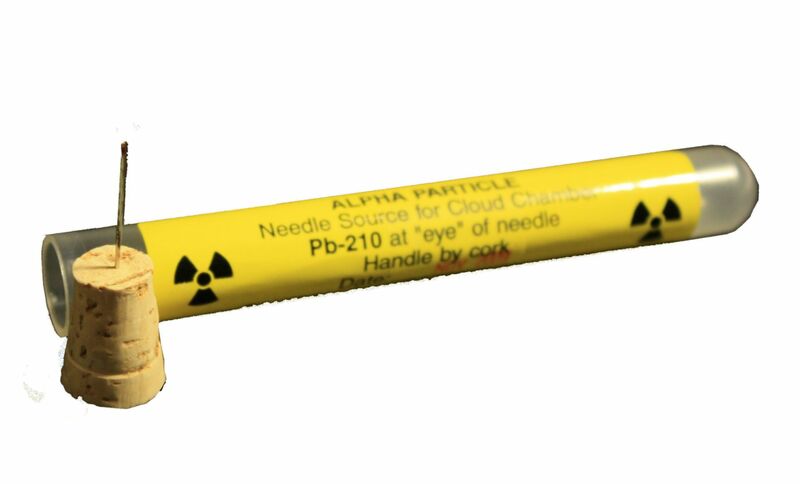 The sources are constructed by depositing a small, license exempt quantity of radioactive isotope onto the eye of a standard sewing needle which is mounted on a test tube stopper for insertion into the cloud chamber. The needle and stopper are placed into a test tube for protection during shipping and storage.